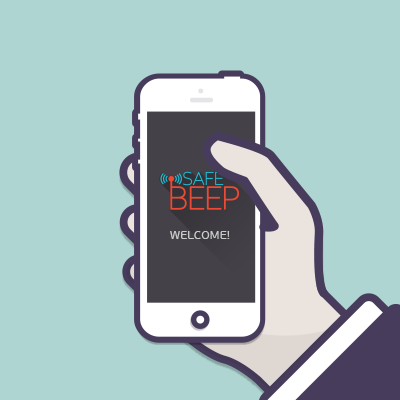 SafeBeep is an innovative mobile application which transforms any Android and iOS smartphone into a lifesaving tool. The application features a complete automatic multi-level alarm and monitoring system, activated against accidents and life threatening situations. 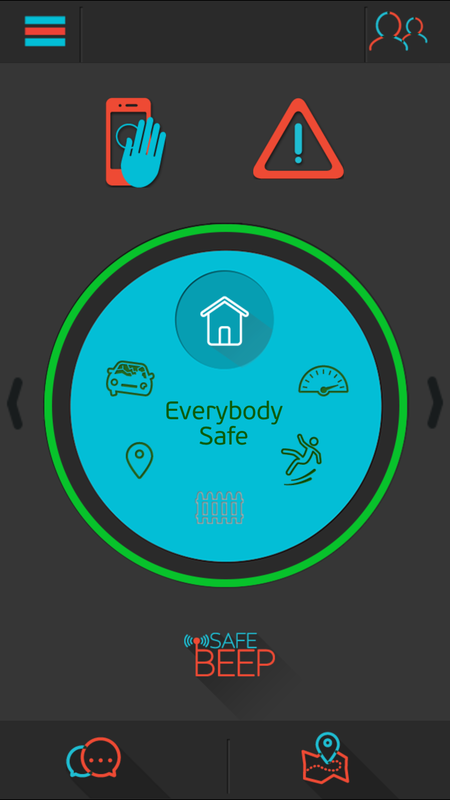 SafeBeep is ideal for people who want to protect their loved ones and be informed if they are in danger. 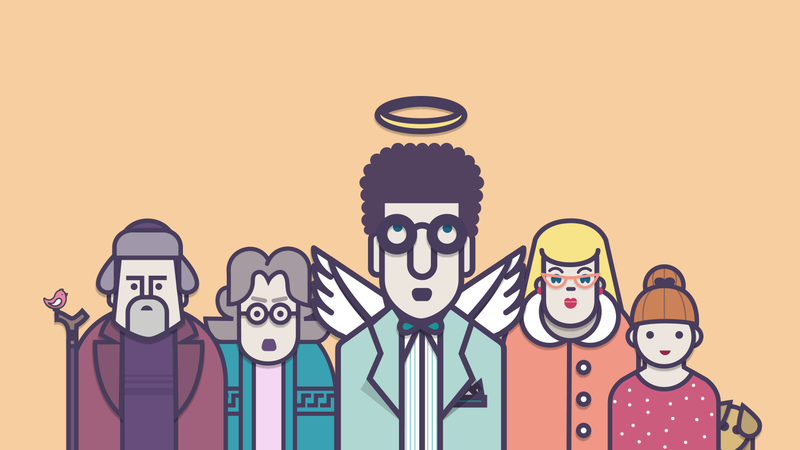 The application is downloaded and installed on the smartphone of a “Protected member” and enables them to connect with the Guardian(s) and the rest of the “family” members. 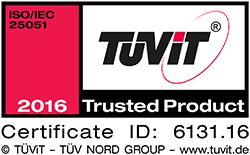 It serves as an everyday life monitoring service that runs “silently” on your smartphone’s operating system and becomes active only when an emergency situation occurs. SafeBeep is able to detect when a protected member is involved in a car accident and it immediately notifies the Guardian(s) of the location, the status of this member, the distance to cover and the time required to reach the location of the accident. SafeBeep can sense both the impact of the fall and the orientation of the falling body of a protected member. This function is very helpful, especially for the elderly. 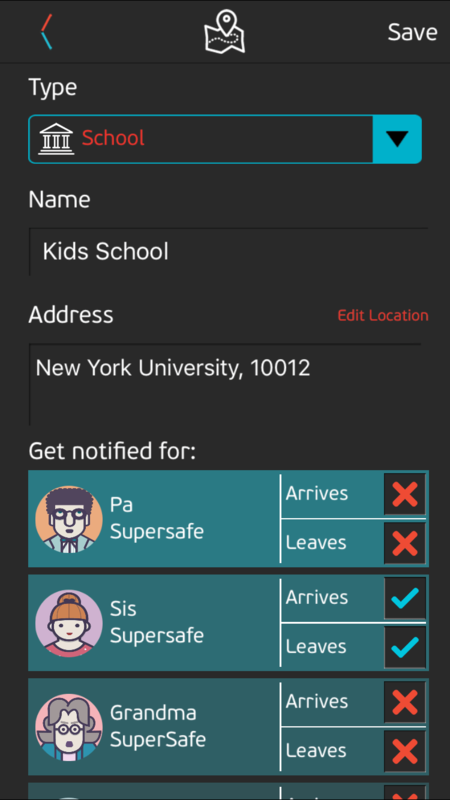 In case of body fall, an alert is generated and sent to all family members indicating the user’s location on the map, as well as the orientation of their body. Following the alert, the system starts a continuous and automatic update of the user’s location on the map every sixty (60) seconds. SafeBeep is able to detect any possible breach of the safety perimeter that is set around a designated area. This feature is particularly helpful to protected members who suffer from Alzheimer’s disease or to prevent young children and adult members from abduction. 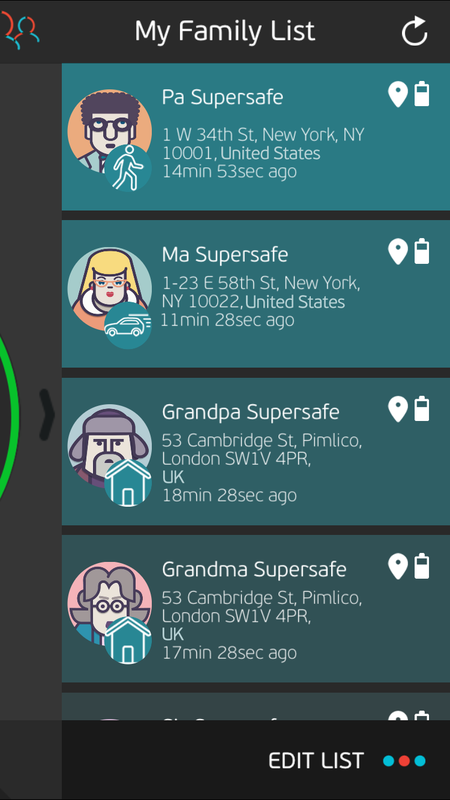 In case of a perimeter breach, the alert that is generated and sent to the members of a “family” group indicates the user’s location on the map. In case a protected member is in danger and needs to notify their Guardian(s) immediately without being noticed, SafeBeep provides a “silent” alarm which can be activated by simply sliding the member’s palm over the phone screen. 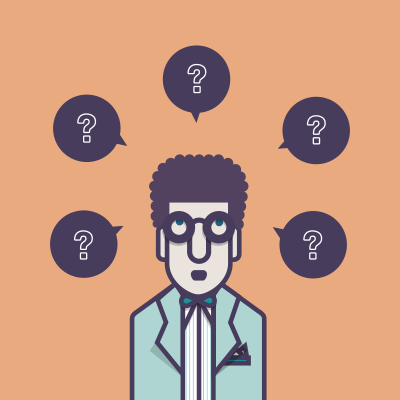 When a protected member raises a SEA, the “family” members who have enabled receiving notifications get instantly notified with a text message or an email. The SOS Emergency Alarm is the manual alarm that SafeBeep provides and when it is raised, it sends an instant notification alarm to the “family” members who have enabled receiving notifications. When raised, the SOS Emergency Alarm sends an alert after four (4) seconds, during which the member can choose to cancel it. SafeBeep can also detect possible violation of the speed limit, which is originally set by the application software, and alerts the Guardian(s). 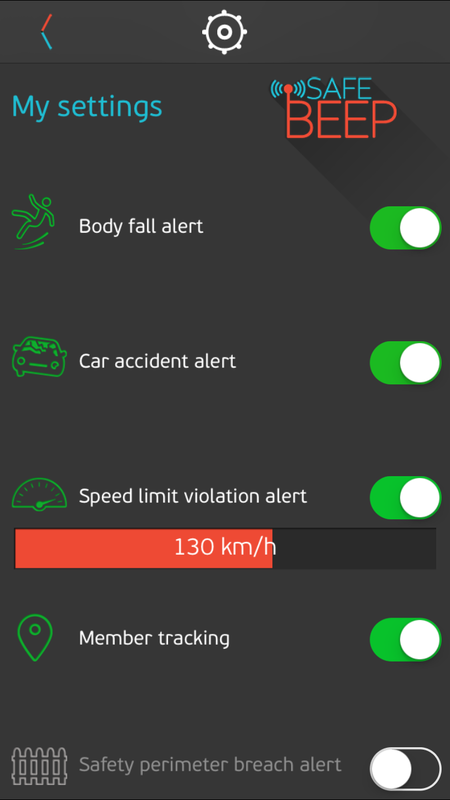 In case of speed limit violation, an alert is generated and sent to the “family” members providing information of the user’s speed and location on the map. 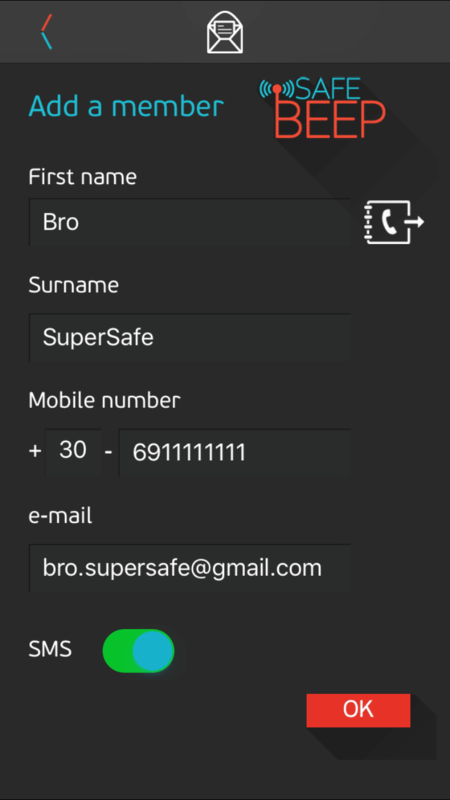 In case of a car accident or body fall, a Secret or an SOS Emergency Alert, SafeBeep can also auto call or auto answer the Guardian(s) phone(s). 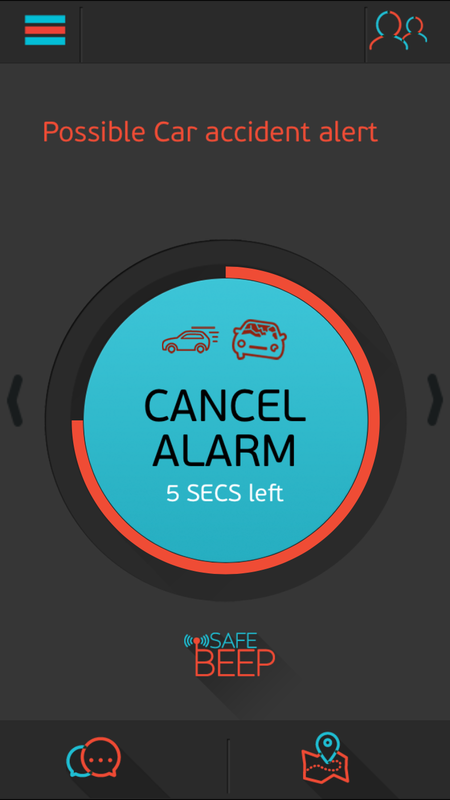 When the “auto call” feature is enabled and an alarm is raised, SafeBeep will automatically start calling each “family” member consecutively for five (5) minutes. 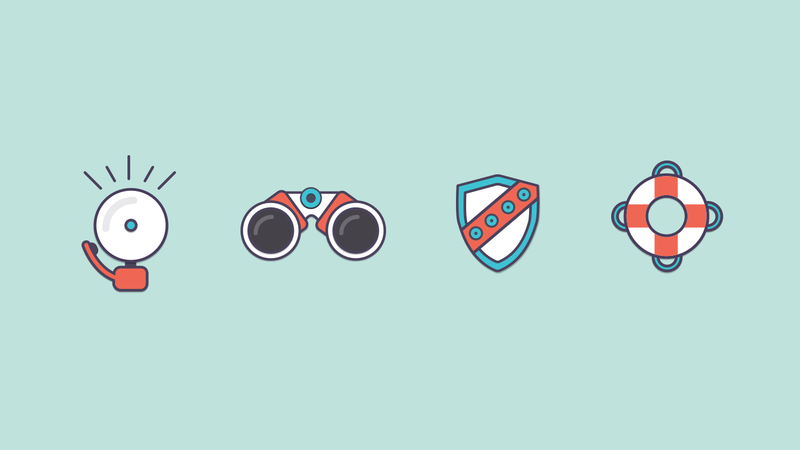 SafeBeep can track down all protected members’ position on a map. This feature operates and indicates the user’s location on the map every four (4) minutes and can be deactivated according to any protected member’s own will (i.e. teenagers). 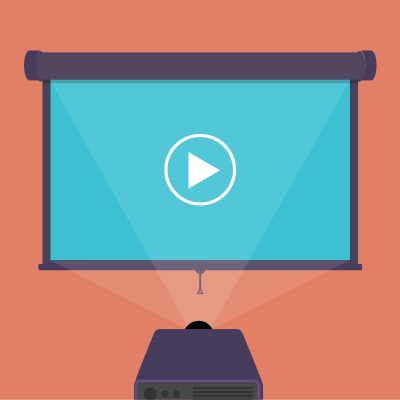 However, the other features will still remain active and keep protecting the user. 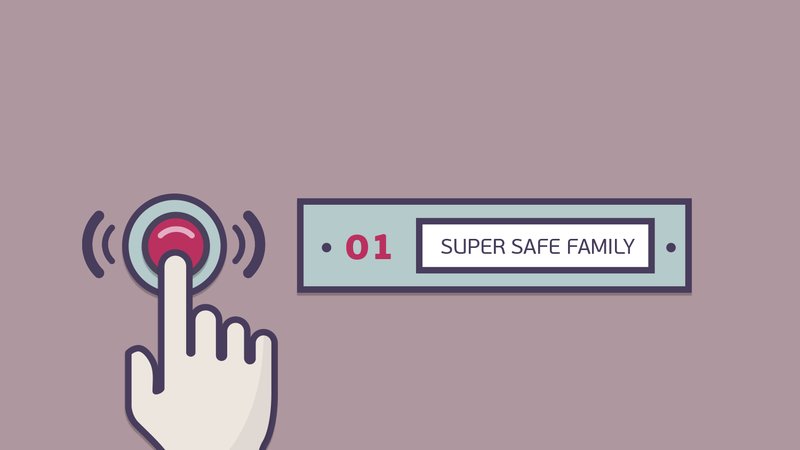 SafeBeep enables its users to use the Check – in feature in order to declare their position and share it with any member of their “family”. 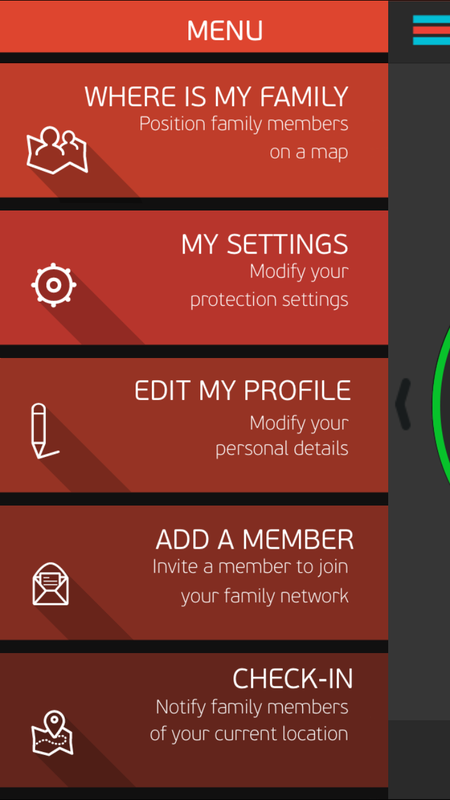 SafeBeep provides this feature in order to enable its users to chat separately with a member or participate in a group chat with the entire “family”. 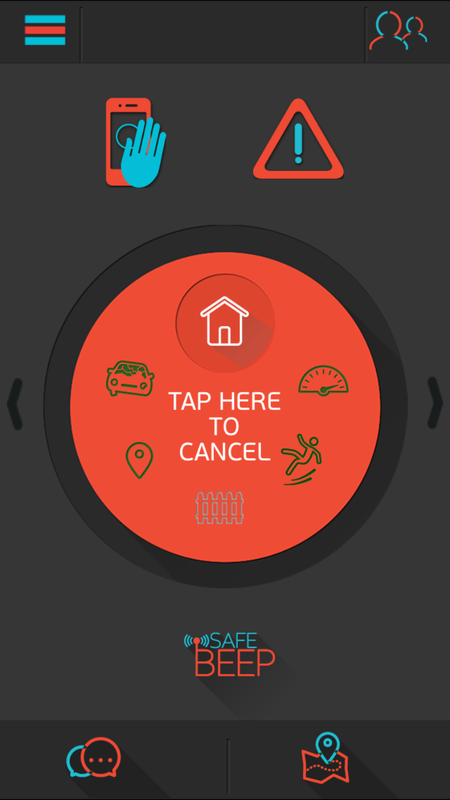 SafeBeep enables its users to set multiple destinations for a “family” group and thus get notified on a member’s arrival or departure at/from a place. 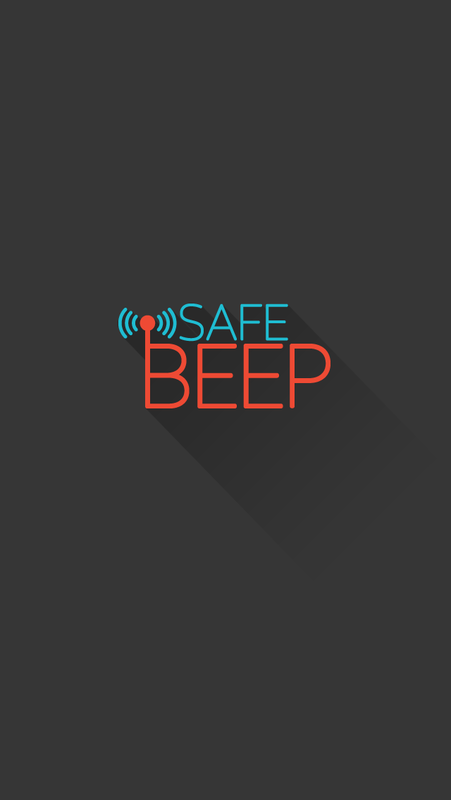 All the info you might need about SafeBeep.